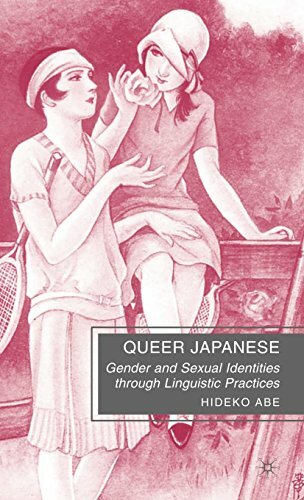 Queer Japanese presents a comprehensive picture of the ways Japanese sexual minorities (lesbians, gays, transgendered, and transsexual individuals) negotiate their lives through linguistic practice in various social contexts. Based on nearly ten years of fieldwork in Tokyo, Hideko Abe examines a wide range of linguistic practices, including magazine advice columns, bars, television, seminars, text messaging on cell phones, the theater, and private homes. Ultimately, Abe reveals how gender and sexual identities are fluid, unstable, and negotiated.